If you've been following my blog at all, you know how much I love Great Seas and in particular, their gam pong gi. It's the holy grail upon which all gam pong gi is judged. I have yet to find one quite like it. I'm not a huge fan of Great Seas' jajangmyun so when a friend recently mentioned VIP as having better jajangmyun, I knew we would have to check it out at some point. What better reason to go eat jajangmyun than for black day. I have never participated in black day before, but this year I got two invitations for it. I was supposed to go to Great Seas on actual v-day, but couldn't make it. Black day for those that aren't familiar with it is a Korean holiday for single people. So on v-day, while your dating or married friends are celebrating, you and your single friends go eat jajangmyun together. I'm not sure how the tradition came to be, but any excuse to go eat jajangmyun is fine by me. A couple girlfriends and I went to celebrate an early black day at VIP. 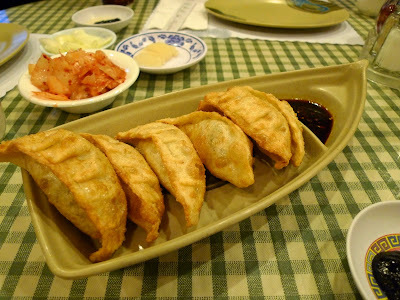 We ordered some fried dumplings. I love the little boat it came in. A fried dumpling can do no wrong in my book. We ordered some gamponggi for comparison sake. It comes in the same lollipop set up as Great Seas, but the sauce was definitely different. I think VIP's is less sweet and a bit more spicy. I guess it depends on what you prefer, but I liked Great Seas better. 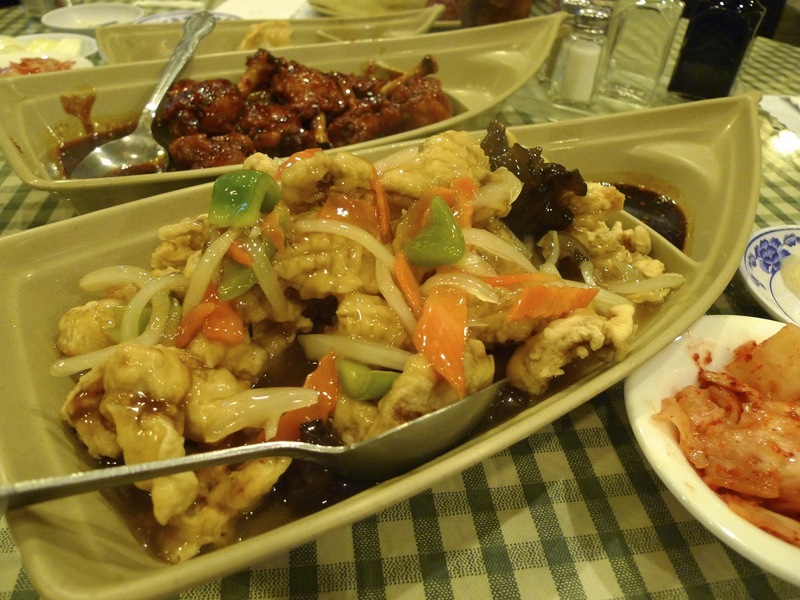 We also got their tangsuyuk, a sweet and sour pork dish that you can only find in Korean Chinese restaurants. 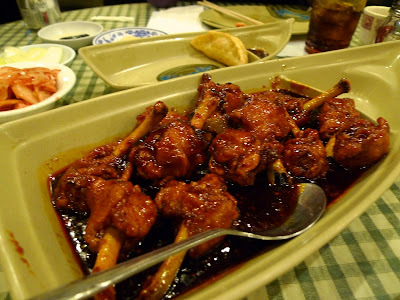 The sweet and sour pork dishes you find at Chinese restaurants always have a reddish hue t them and their batter is more bready. I think for the most part, the sauce tastes pretty similar everywhere, but the defining characteristic is how they fry the pork. In my opinion, the batter is super light and crispy. I don't think I've ever had tangsuyuk at Great Seas before, but this was pretty decent. I ended up eating more tangsuyuk than the gamponggi. You all know what jajangmyun looks like and as for the over all taste, I think VIP wins. Again, it doesn't hold a candle to the jajangmyun places I've had in LA or Korea, but it's pretty good for Chicago. So if you're craving jajangmyun and tangsuyuk, come to VIP. If you want some gamponggi, go to Great Seas. Problem solved! when I was younger, my parents used to take me to VIP restaurant near the cerritos/la palma area. i laughed b/c realized there's a VIP chinese restaurant everywhere!